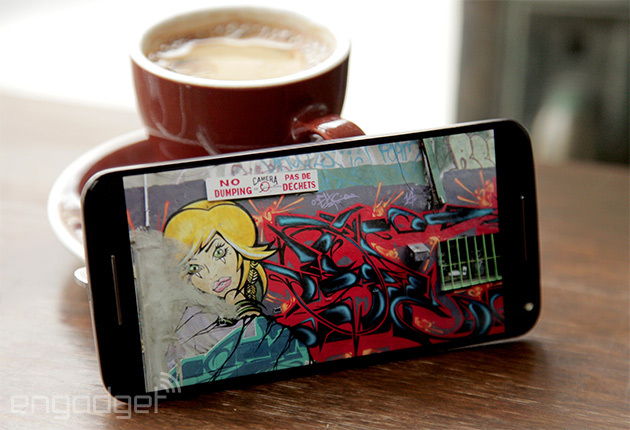 The Moto X line is a smartphone that's always been dancing around greatness. The first one was a lovely, underpowered experiment in smartphone customization and thoughtfulness. The second added some much-needed Moto Maker style and some more powerful silicon. Now Motorola's at it again with the Moto X Pure Edition, a phone that appears to sit right at the intersection of price and power. It's unlocked, ready for any US carrier and -- more importantly -- it's priced as low as $400 off contract. In other words, it's a serious contender for the "Best Smartphone Out There" crown, at least on paper. The thing is, the market for cheap unlocked smartphones has exploded in popularity this year, and it'll take something really special for it to capture the title. 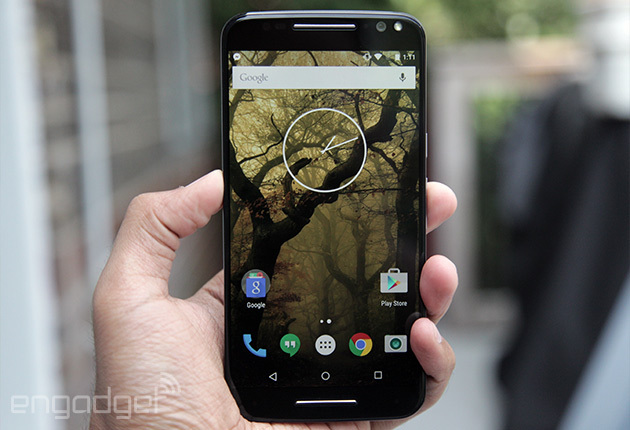 So, how does Motorola's new flagship fare? Spoiler alert: really damned well. Other devices might have a slight performance edge over the new Moto X, but the Pure Edition still manages to feel like the most elegant of the cheap-good smartphones we've seen this year. Among other things, we appreciate its stylish, customizable design, much-improved camera, expandable memory and, just as important, its near-stock version of Android and Motorola's useful software add-ons. How would you rate the Moto X Pure Edition? Motorola isn't rewriting the rulebook here; the Pure Edition will feel awfully familiar if you've so much as picked up a second-gen Moto X over the past year. That's a good thing. With its trim waistline and gently sloping back, this year's Moto X is one of the most comfortable big-screen phones to hold, even despite the 5.7-inch panel Motorola added this year. We'll revisit the screen shortly, but in general it's a beautiful thing and it's complemented by a pair of front-facing stereo speakers. It's still pretty odd to see an LED flash nestled next to the front-facing 5-megapixel camera, though all's fair in the search for the perfect selfie. And it wouldn't be a Moto X if the facade weren't flecked with numerous infrared sensors to detect a face or moving hands. If the phone's face seems forgettable, flip it over for a reminder of what you can do with Moto Maker. My review unit came with a deep gray finish on its metal frame and a textured, brown Saffiano leather back that adds some extra character to the mix. If that's not your thing (it isn't really mine), you can also order your Pure Edition with a colorful silicone rear, or a more exotic one hewn of bamboo, charcoal ash, ebony or walnut wood for a few bucks more. Since Motorola wasn't concerned about including a fingerprint sensor on the Pure Edition, the telltale logo dimple below the 21-megapixel camera is way smaller than on last year's version too. I took this harder than I expected: The dip the X used to have on its backside made for a comfortable place to rest my index finger. This smaller version isn't nearly as satisfying. At least the device is now water-resistant, allowing the Pure Edition to survive a few accidental dips in my sink. Speaking of potentially unsatisfying, the Moto X's internals might seem less interesting than at first. The phone uses one of Qualcomm's hexa-core Snapdragon 808 chips and 3GB of RAM, much like the LG G4 from earlier this year. Meanwhile, rivals like the OnePlus 2 offer the more powerful Snapdragon 810 and 4GB of RAM. Other powerhouses like the Galaxy Note 5 also include a full four gigs of memory. As always, though, Motorola has complemented its fairly high-end components with its so-called Mobile Computing System, a bundle of contextual processing cores that pay attention to the device's motion and your voice. It plays a key role in making the Moto X Pure a more thoughtful phone, and that might make all the difference for you. Motorola finally made the leap to a Quad HD (2,560 x 1,440) panel with this year's Moto X, and I'm not about to start a debate on whether or not we actually need such high-resolution screens on smartphones. The fact of the matter is, we have a solid performer in this 5.7-inch IPS LCD, with crisp visuals (at 515 pixels per inch, no less) and good viewing angles. All that said, it doesn't stand out in the same way that Samsung's super-vibrant Super AMOLED screens do. It's a mixed bag, really. Colors that seem bright and mostly natural on the Moto X's screen take on a cooler, almost washed-out cast next to the Galaxy Note 5. On the bright side, though (ha! ), whites are much crisper on the Moto X and the display itself is noticeably brighter too, especially with adaptive brightness turned off. Trust me: You won't have any trouble taking the X for a spin outside. Be prepared for an occasional wait, though. The display's auto-brightness can be slow to react -- think three or four seconds -- especially if you're pulling the phone out of a dark bag and into a well-lit room. The Pure Edition's screen isn't a clear winner compared to some of its biggest rivals, but it's meaningfully different in a few key ways. We could say almost the same thing about the Pure Edition's pair of front-facing speakers. They're still a far cry from, say, HTC's BoomSound speakers, but I'd still take these over a wimpy single speaker any day (here's looking at you, Note 5). Pro tip: If you're watching a video or listening to music through these speakers while holding the phone vertically, you're doing it wrong. You'll get a modest sense of channel separation when the X is sideways, so your tunes will sound slightly fuller, more expansive. There is, thankfully, little to say about the Pure Edition's software; it's an almost-completely stock build of Android 5.1.1 with just a few Motorola apps preinstalled. All of Lollipop's finer touches -- that nuanced take on sounds and notifications, multiple user accounts -- are all where you'd expect to find them and work the same as always. Even better, the unbundling of apps like Google Plus and Newsstand from Android proper means we've got an even cleaner version of Android than usual. With that foundation laid down, Motorola once again set out to make the Moto X as thoughtful and responsive as possible. Take Moto Display, for instance. 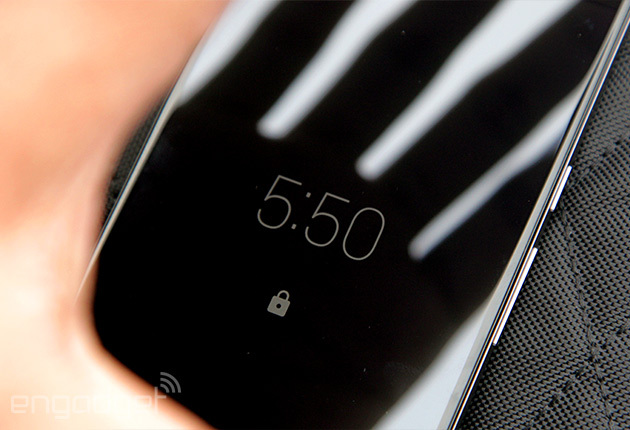 Waving your hand over the phone's face like some Jedi extra from The Clone Wars rouses part of the screen to tell you what time it is and what notifications have rolled in. Swiping a notification icon down unlocks the screen and pops the phone right into the app you wanted to be in. Simple. Motorola's tried-and-true gestures are back too, so you can twist the X a few times to fire up the camera and karate chop with it to turn on the flashlight. You can now also lift the phone to your ear to issue a Moto Voice command, and any response will route straight through the earpiece for subtlety's sake. Then there's Moto Voice. 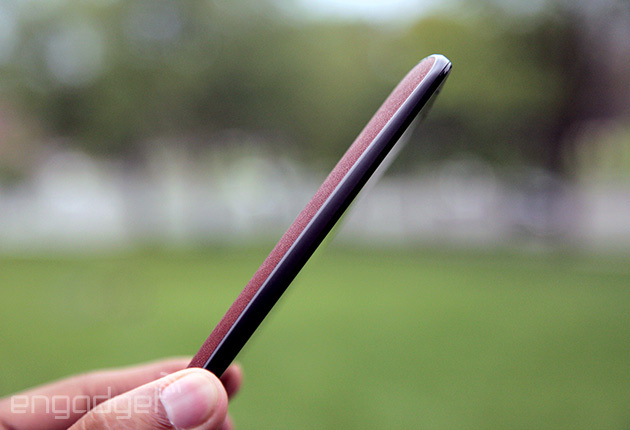 I loved talking to last year's Moto X as though it were a pseudo-personal assistant. And now, 12 months' worth of improvements to Google Now have made the experience even more useful. You'll have to set up a launch phrase to issue spoken voice commands, but it's well worth it; I spent my week of testing by asking the phone to play my voicemail messages, add reminders to an already huge list, get the weather forecast and launch apps without a hitch. The best part: Shouting out my launch phrase to find out where in the house I left the damn thing. All of these can be managed from the Moto app, a central hub for the phone's contextual smarts. Other than that, there are only three other preloaded Motorola apps here -- Connect, which lets you manage connected devices like headsets and Android Wear watches; a self-explanatory Help app; and Migrate, a nifty tool that lets you jumpstart your Moto X experience by pulling anything from contacts and calendars (from iPhones) to media and apps (from other Android phones). This lovingly light touch means there's plenty of room for your own apps; my 32GB review unit came with just over 24GB of free space, and you can add up to 128GB more with a microSD card if needed. 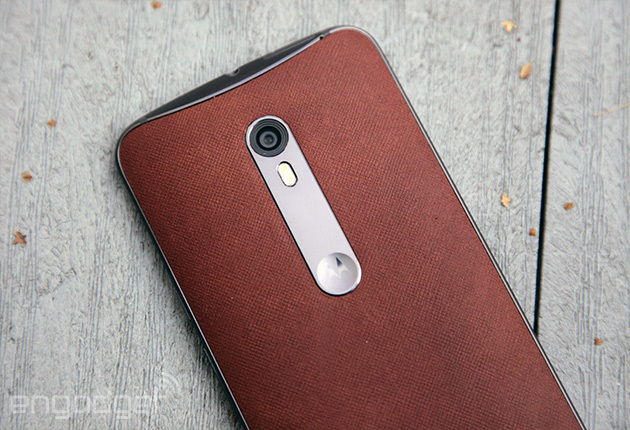 Let's face it: As much as I loved them, the Nexus 6 and the 2014 Moto X had pretty lousy cameras. Well, not anymore. Motorola is especially proud of the 21-megapixel rear camera and f/2.0 lens baked into this year's Moto X Pure and it should be, even if it's overshadowed by other smartphone shooters I've tested recently. Three things help make the Pure a great point-and-shoot: the interface is dead-simple; HDR is set to automatic by default; and the sensor is a pro at sucking up light. My sample shots were always crips and generally well saturated (though the HDR mode is a little heavy-handed sometimes). The thing is, it isn't always great at capturing the finer details of a scene, especially when things get dim. 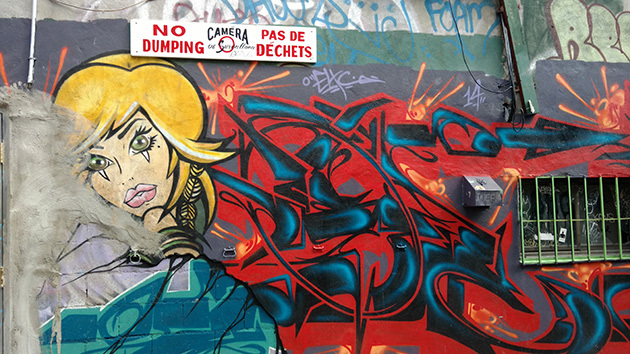 When snapping a shot of some graffiti, the Galaxy Note 5 produced subtler colors and was better at picking up the divots and texture of the concrete wall under the paint. The Moto X, on the other hand, delivered punchy colors (even without HDR) while missing some of that extra detail. It's an unfortunate trade-off, though in most situations the X is great. The occasional subpar photo only helps emphasize how well it normally performs. Even the wide-angle, 5-megapixel selfie camera does well, which is good news for terminally vain folks like me. 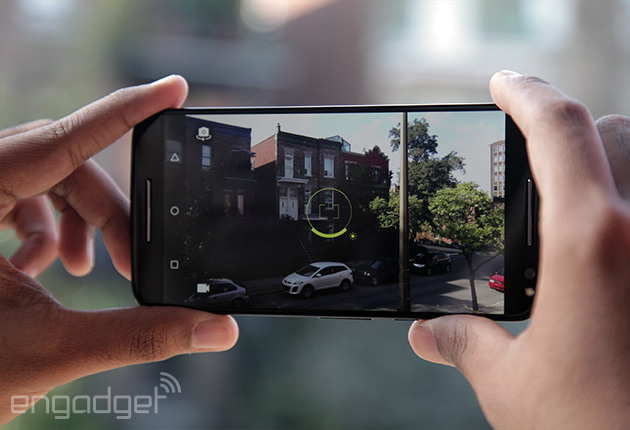 Ironically, I think Motorola's idiot-proof camera interface might do as much bad as good. The feeling of firing off a photo in no time flat is powerful, but the sparseness of the app is starting to feel too simplistic. Photos shot from the hip still look pretty good, but I suspect users would benefit from having just a few more controls available from the start. The camera sure is fast, though. And speaking of controls, there still aren't all that many to play with at all; besides HDR, you've got a low-light mode that's only mildly helpful, flash settings, tap-to-focus and a video mode toggle. Video, by the way, is nicely detailed (especially at 4K) and the camera is adept at switching focus when objects drift in and out of view. All told, Motorola put together a lovely camera that's leagues better than what its previous phones had to offer. Too bad the competition is so stiff. Part of building a good cheap phone is knowing what compromises to make. In this case, Motorola chose the Snapdragon 808 chip over the faster Snapdragon 810. The benchmarks spell out what we all sort of knew in the first place: The Moto X just isn't as powerful as some of its rivals. This slight deficit manifests in a few ways, some more notable than others. The Pure Edition isn't as strong a performer at graphically intense tasks like playing games, although it'll still get you through a few laps in Asphalt 8 at the highest quality level without any trouble. You'll also notice a hint of lag when doing typical Android system stuff; swiping into Google Now, launching apps and sifting through your running software can sometimes take a hair longer than you'd hope. An extra gig of RAM really would have helped, but make no mistake: The Pure Edition is in no way a slowpoke. It's a speed machine in its own right, just not as crazy-fast as the Galaxy Note 5 or the OnePlus 2. In fact, the distinction is often slight enough that most people might not even notice. SunSpider 1.0.2: Android devices tested in Chrome; lower scores are better. The X's 3,000mAh battery generally does a good job holding out throughout the day. My slightly ridiculous workdays are well-documented in these reviews, and the Moto X usually survived a 14-hour onslaught of Slack messages and YouTube videos with about 30 percent still left in the tank. I've never had an issue with the battery dying prematurely on me, but it didn't fare nearly as well in our standard Engadget rundown test: It only lasted about nine hours looping a 720p video with WiFi on and screen brightness set to 50 percent. In comparison, the LG G4 managed nearly 11 hours with similar specs. I'm still trying to figure out what's causing this gap, and I'll update this review with any new findings. On the plus side, with the included Turbo Charger, it only took around 25 minutes to go from bone-dry to 50 percent full. The last half of the charging process takes a little longer, so expect to sit around for about an hour and 10 minutes for a full 0-to-100 percent charge. You're not going to get the Moto X Pure Edition straight from a US wireless carrier, which means you're not going to see subsidies or price breaks for long-term ownership. That makes it tough to find direct rivals, but we can still think of some other options. 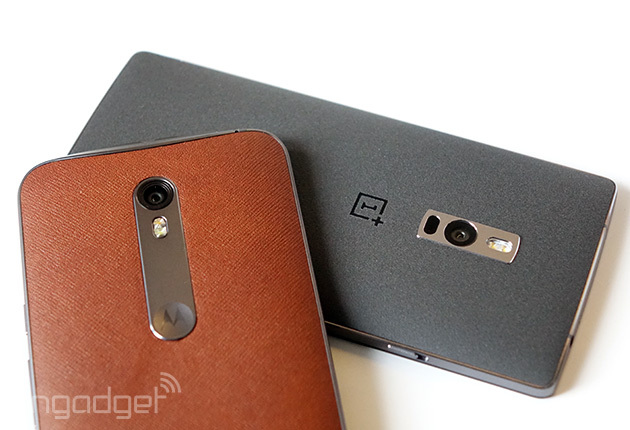 If you're fine with having to go through an invite system, the OnePlus 2 might well be the Pure Edition's biggest rival. It offers plenty of horsepower and smooth performance, along with a handsome (if slightly clunky) design. Be aware, though, that the basic $329 model only has 16GB of storage and there's no NFC -- a bummer if you were hoping to get on the Android Pay bandwagon. 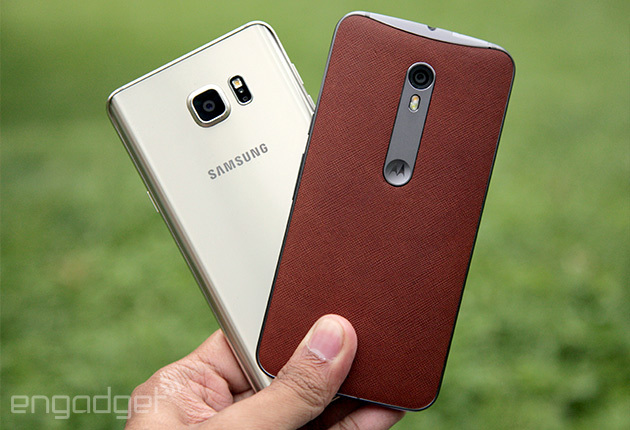 LG's G4 is a great option too, and shares many of the same specs as the Pure Edition. Throw in a great camera, a removable battery and expandable memory and you've got a hell of a Moto X alternative... if you don't mind LG's extensive software changes. You might also consider the Axon, another contract-free powerhouse from ZTE. It squeezes most of the same components as the OnePlus 2 into a chubby metallic body, and it's got some of the best audio you'll find on a cheap phone, too. Just beware of its memory limitations: You only get 32GB or 64GB of storage and there's no memory card slot. Then you've got the Galaxy Note 5, which has longer battery life and a more impressive screen despite having the same dimensions and pixel density as the Moto X Pure. The signature S Pen has finally made the leap from gimmick to truly helpful tool, but the steep price and skinned software will make it a bitter pill for some. The last two years have seen Motorola take huge leaps in the quality of its flagships, so it's no shock that the Pure Edition is the best phone the company has ever made. Sure, it might not be the most technically powerful device out there, but it makes up for it with a comfortable, customizable chassis, and truly useful software additions. Expandable memory? Fast and frequent Android updates? All just icing on the cake. Its mixed performance in our battery tests was slightly concerning, and it would've been nice to see the company whip out a Samsung-level camera, but Motorola's got a first-rate contender here -- and you don't even need an invite to buy one.